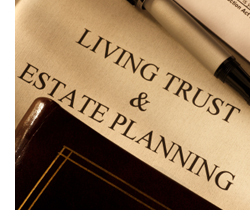 Estate planning can be as simple as creating a will or as complex as establishing a trust. Regardless, organizing your assets – no matter the size of your estate – ensures that your wishes are carried out, preventing loved ones from having to undertake what can be a difficult and emotional process. In addition, diligent estate planning can protect inheritances, minimize estate tax obligations, and prevent court costs and attorneys fees that otherwise might be incurred after your death. The attorneys of JPI have the experience to guide you through this important process. Utilizing our understanding of Pennsylvania law, we work closely with individuals and families to craft a comprehensive estate plan that’s tailored to your circumstances. Jubelirer, Pass & Intrieri can assist with estate planning matters such as wills, living wills, trusts and powers of attorney.